It is one of the great rail journeys of the modern world. 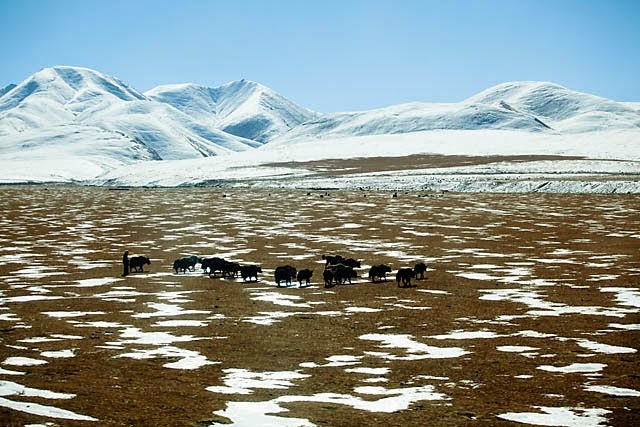 The QingZang Railway, as it is called (Qing refers to Qinghai province in China, while Zang refers to Tibet), connected remote Tibet to China. 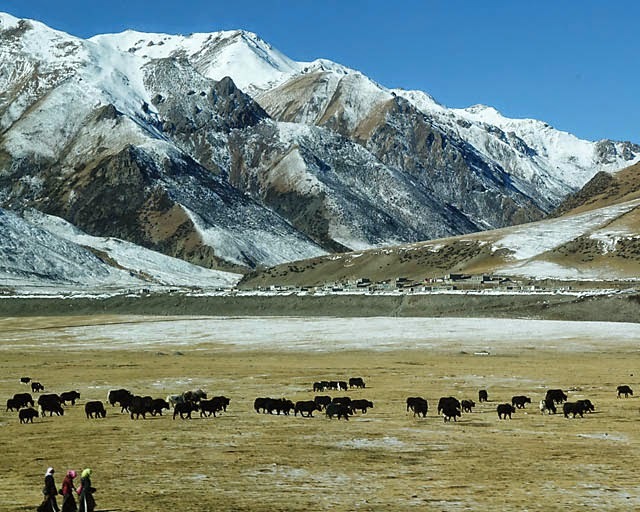 The last section from Golmud to Lhasa was only completed in end-2005, and it was hailed as one of the major engineering marvels of China. I did not quite take this train journey for the engineering feat though. 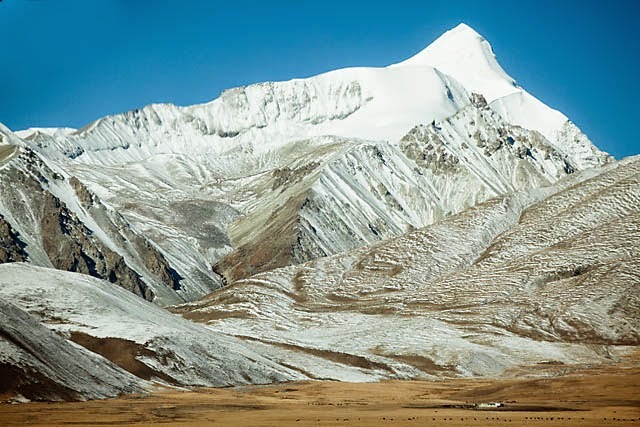 Some of the reasons for the difficulty of building this railway is that altitudes at this part of the world exceeds 4000m and majority of the rail track would be on permafrost! But with such conditions, the scenery and landscapes along the way are also super fabulous, and I had wanted to see such remote landscapes. There are already alot of information on the internet regarding the QingZang Railway, but whichever you choose, do note that train schedules may change. Note also that there are a number of trains that cover this rail journey, with different starting points, so note the various train numbers and the time of your point of embarkation. However, if you are trying to take a train from eg. 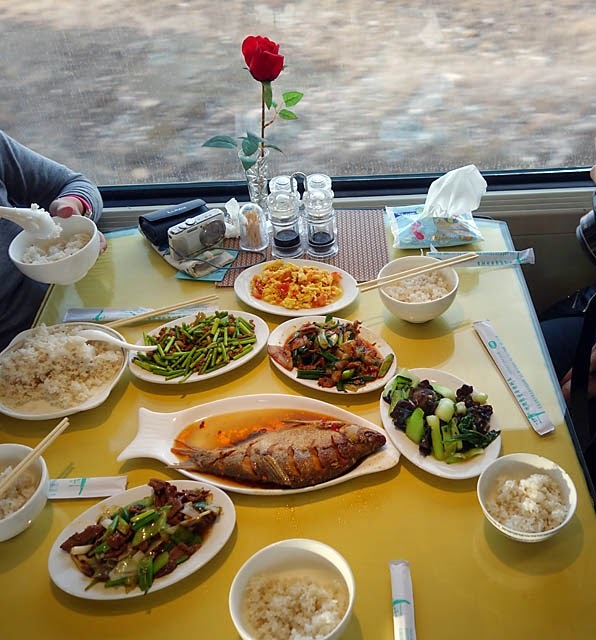 Xining, and want to get the tickets for the train that originate from Beijing (but will stop at Xining too since all the trains that go to Lhasa will stop by Xining), the tickets are harder to get. There is, however, a train that originate from Xining (K9801). It is this train that I took (which starts at 14:55), and unfortunately, it is NOT the best of timings as I was to find out. 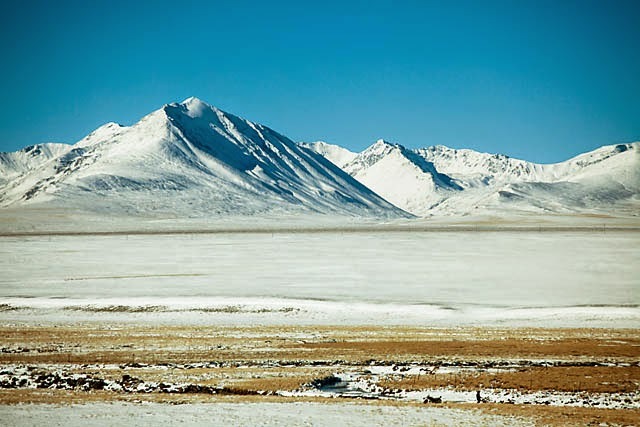 As described by many Tibet tour sites, the QingZang Railway is the world's highest railway, and will pass through the world's highest rail station (5068m) near Tanggula Pass. 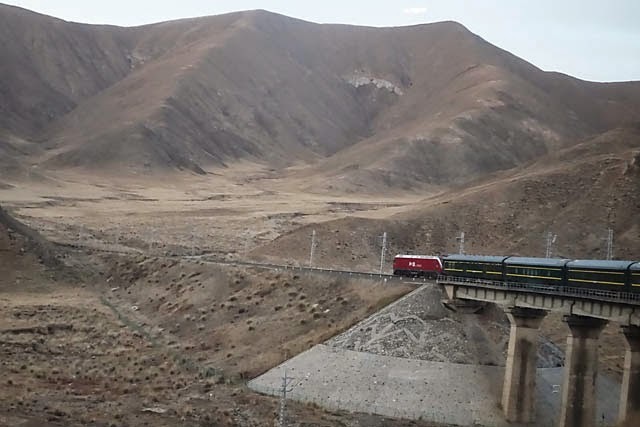 However, this Xining-Lhasa train (K9801) passes through this pass in the wee hours of the morning, and so we can't see anything of the pass nor the station! (And there's supposed to be a viewing platform on this station!) 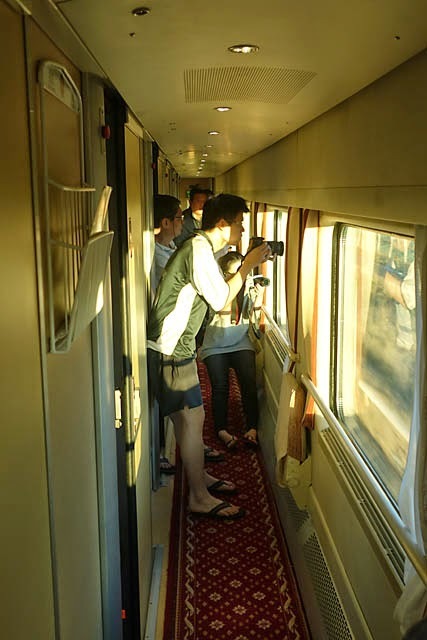 So for those who specifically want to see/take photos of this, you would have to either take the Lhasa-Xining train, or one of the trains that leaves Xining in the evening. Nevertheless, the landscapes along the way is still stupendous. And I'm glad I am able to finally ride the QingZang Railway. The food's quite good, and with the views outside, the rose is largely forgotten, haha!